Being online is part of the life now. People are online from home, school, library, roads and washrooms. Sitting on a toilet and chatting with a buddy or playing games is a habit of many. Do you know what you actually do when you browse the Internet? Yes ? No ? Alright, Lemme tell you. You just access someone's else computer. But the same can happen with you. Once you get on a network, you raise a security risk for your digital life as well as your real life events. Are you sure that you are the only one in authority who can use your resources? (By resources I meant PC, Smartphone, Webcam, Mic or anything that can be on the Internet). Are you really sure that nobody is spying on you? Do you have someone or something which can tell you 'Watch out'? If you have, is it trustworthy? are some common ways which can help you keeping your private things private. I will try to be quick and to the point. Do you want someone to watch what you do and hear what you say, even in real time (live), without your assent and without being noticed? Suppose one day (or night) you are having se* with your girlfriend or wife or you are watching something that makes you make some weird faces and somebody captures the moments using your own smartphone, PC or laptop camera. Guess, what can happen? It might be trending on a por* site. Do you want that? I hope for a big NO. Anybody can see what your Cam see. Same is the case with Mic. Snowden have revealed this. So why not to cover the camera and microphone? 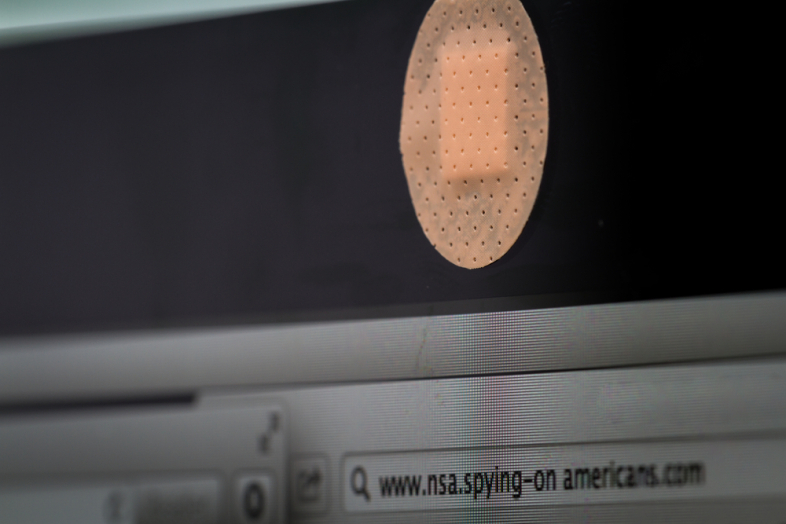 FBI recommends you to cover your laptop's webcam, for good reason. Or can use a tape. I am using Tape because it is almost free. 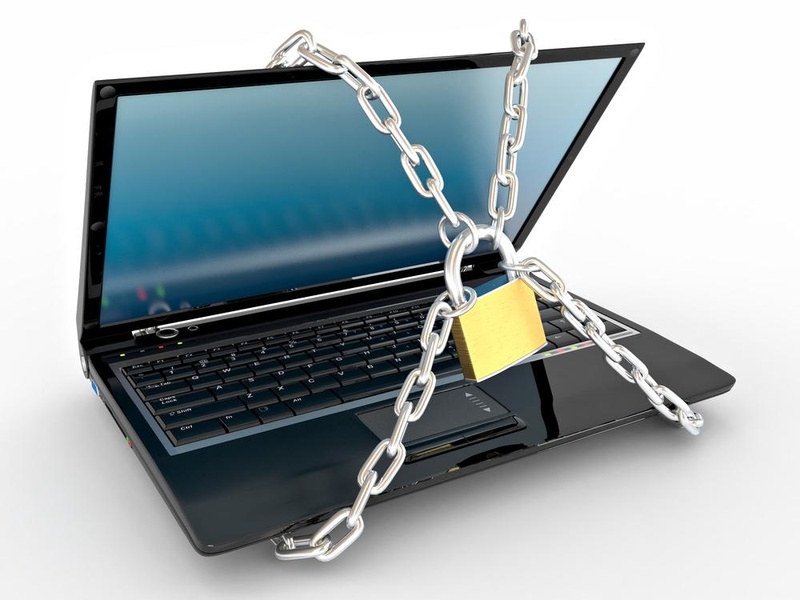 Many people leave their PCs, Laptops, and Smartphones, mostly PCs unlocked at their workplace and don't bother to lock it.... A creep can crawl to their desk and do some unwanted stuff because one will have access to whatever they have access to. 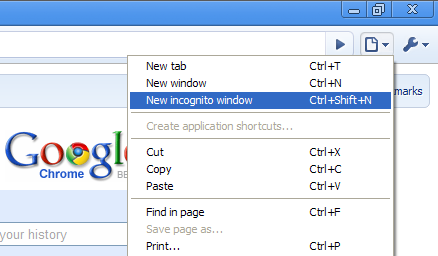 It barely takes a second to press [Window + L] on Windows PC (Don't know about Mac shortcut) and can save you a lot. This might sound a little weird, not a little actually. Let me explain, what I mean by this heading is don't let your friends install any software on your computer or phone unless you are watching them. One can install a remote keylogger which can email him every key your press or a spyware which take screenshots and send it the person who installed it or any of these 10 pranks can happen with you. In few words, you leave confidentiality of your data at risk. So never do that. Do you know what a keylogger is? Keylogger is a computer program that records every keystroke made by a computer user, especially in order to gain fraudulent access to passwords and other confidential information. I hope you got it. So, there are chances that your friend have installed a keylogger on your own computer or mobile phone and hack your account. A password is strong if it have UPPER-CASE and lower-case letters, symbols, digits, proper length and is not easy to guess. I have seen people whose passwords contain their name and 1 digit or their birth date or their computer name. It is unwise to choose a short password because it makes it more vulnerable to attacks. Some people can guess passwords very quickly, don't help them by using a weak password. Another thing, let say I have chosen a very strong password like "Jp&asjd!32U86x, how will I remember it? Do I need to write it somewhere like on a sticky note near to my desk or in a text file on my hard drive? Well, it sounds not good. It is good if you can remember your password by yourself or Let the Password Manager do the job for you. Learn more here about password management. Multi-layer security is aka Multi-factor security which involves using more than one way for authentication. Let's discuss facebook authentication methods very shortly. 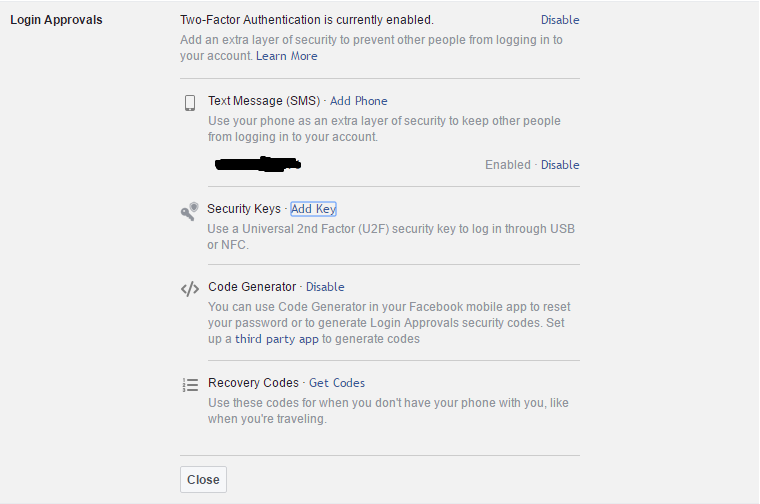 Facebook allows you to log in to your account using your username, email or phone number and your password but it also lets you enable Login Approvals which add an extra security layer to prevent other people from logging into your account, Login Alerts which alerts you when someone logs into your account from an unrecognized device or browser. You can check for other security mechanisms in settings. Why should you use multi-layer security? 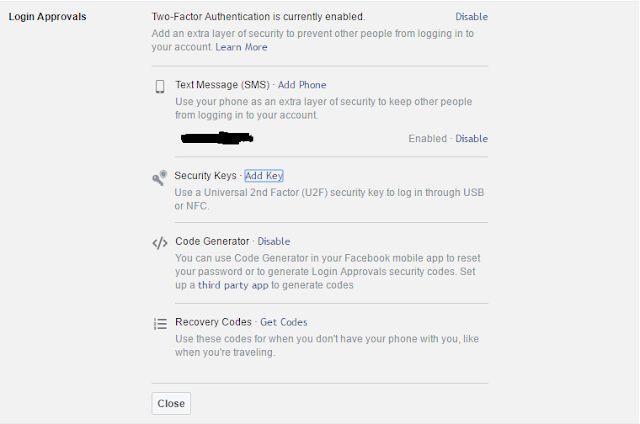 Well, I have enabled log in approvals in my facebook settings. If someone captures my password using keylogging or social engineering I won't care because he/she will need the login code which only I will have. So, It is good to have some extra butter on toast. Wikipedia says: Privacy mode or "private browsing" or "incognito mode" is a privacy feature in some web browsers to disable browsing history, cookies, and the web cache. This allows a person to browse the Web without storing local data that could be retrieved at a later date. Private browsing improves privacy up to some extent but it does not make you completely anonymous. It also decreases vulnerability to some attacks. It is good to use private browsing mode of the browser when you are browsing something private like online banking. 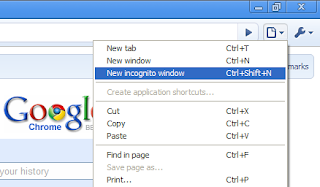 For those who use a shared PC, private browsing is really helpful for them. Care about nothing and browse. It's ok if you left your facebook account logged in in private browsing mode. It will no longer be logged in once you close the browser. 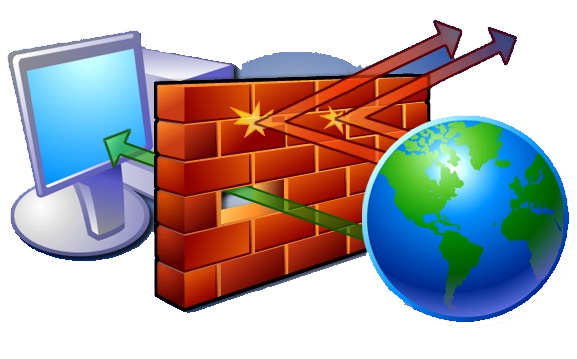 Firewall is simply a wall of fire between your device and invaders which do not allow them to cross the wall and attack on your personal data or harm your device. Some software or websites might ask you to turn off your firewall to enable their some feature. I will suggest you not to do so if you do not know what is going on in the background. I am sure you will not want to open your door for intruders to come inside and perform malicious activities. So keep the door shut, always keep the firewall turned on and keep it up to date and also check what it allows to enter and what it does not. Antiviruses are hunters. It hunts down malware that enters to your device by any means, either from a network, a USB or anything else. It enhances the functionality of a firewall. It is just like something which is fireproof, have passed the firewall and entered your device. 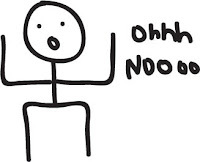 The antivirus detects it and takes action and also the big oh no appears (ohhhh noooo attackkk!!!) to alert you. There are so many antiviruses available. 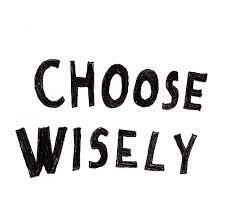 You can choose anyone you want. The thing which is important is to keep it updated. Because malware is advancing. Invaders are inventing new techniques to bypass your security. So you need to upgrade your army. The more advance your security is, the less you will suffer. A blind link is a hyperlink which does not make any sense to you at the first look or you could not predict where it could take you to. Links without a description or false description is a blind link. It says something else in the description and leads you to somewhere else you never expected. Mostly this happens when your device is under attack by an adware/malware or you are browsing a dating/por* site. You will see some links saying, click here to win an iPhone7 or bad moms are waiting for you or Pretty girl is calling you, click to answer. Blind links do not have a destination. These will lead you from one site to another and won't stop unless you stop. Try to avoid clicking this shi*. It is normal to receive emails and messages which say something interesting like a hyperlink saying "Hey is it you here? ", "Your PC is running too slow, check for speed", or offers to buy something with your credit card and you don't know the sender. It might be a scam. What it can do to you? It can steal your identity, your credit card information, personal files on your device or expect anything else very weird. Lemme list some common types here. To protect yourself against scams you should report it to the service providers, keep the receipt if you shopped, make sure nobody knows your credit card PIN, do not click on suspicious links or alerts, choose strong passwords. Read here more. Encryption tools such as BitLocker, Winrar, 7-Zip, AxCrept, VeraCrept etc convert your files from readable form to unreadable form and let you choose a security key or password. Nobody, even you will not be able to open or read the encrypted files without having the password. If somebody steals the files, its ok. You don't need to care as much as you should if the files were unencrypted. Websites, Mobile Apps, Malware or Hackers can access your GPS data and track your position without your intentions. So, keep the GPS turned off unless needed and at least run through the terms and conditions of an App before installing it. Security questions are used to recover passwords. Many people (ignorant I would say) select very common questions such as "In what city were you born?" and they answer their real birthplace. Dude, you don't need, to tell the truth. Anybody can get the answer easily. Some select "What is the name of your best friend?" and write their own name in the answer (What the f***). Try to select very random questions and answer very carefully, cleverly and wisely. Don't help others to dig out your answers. Hope you got it. It is a little difficult step but it worths a try. Monitoring incoming and outgoing, especially outgoing traffic really helps in protecting privacy. It allows you to see what is going where. There are different good tools available on the Internet which you can use. All you need is to install the tool, learn and utilize. I am using Fiddler.